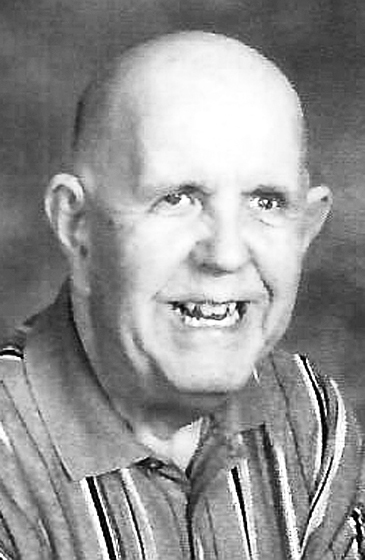 ISHPEMING, MI – Keith D. Laituri, age 70, longtime Ishpeming Twp. resident passed away on Sunday, February 3, 2019 at UP Health System Marquette where he had been admitted earlier that day. Keith was born in Ishpeming April 1, 1948, son of the late Ruth E. (Saari) and Edwin E. Laituri. Keith was legally blind since age 16 due to retinitis pigmentosa. He was raised in Palmer prior to moving to Ishpeming Twp. in the late 70’s where he had resided since. He was a member of Bethel Lutheran Church. Keith enjoyed listening to the Detroit Tiger’s baseball games throughout the summer months along with sitting outside and visiting with his neighbors as they passed by. Keith is survived by sister, Rosalie Kempainen of Ishpeming, uncle Kenneth Laituri of Westminster, CO, Aunt Doris Piper of Davison, nephew Daryl (Debbie) Kempainen of Alexandria. LA, niece Cheryl (Tom Williamson) Fowler of Ishpeming, great niece and great nephews – Jessica Kempainen of New Orleans, LA, Philip (Bayleigh) Kempainen of Houston, TX and Trevor Fowler of Ishpeming. He was preceded in death by his parents, and brother-in-law Philip Kempainen. Keith’s family will greet relatives and friends on Thursday, Feb. 7, 2019 at the Bethel Lutheran Church in Ishpeming from 10:00 AM – 11:00 AM. Funeral Service will follow at 11:00 AM on Thursday with the Rev. Lauri O. Maki to Officiate. Entombment will take place at Northland Chapel Gardens. Keith’s obituary may also be viewed at bjorkandzhulkie.com where relatives and friends may leave a note of remembrance.